When Hi-5 first appeared on our television screens in 1998, it sparked a new era in children's television entertainment: bright, catchy pop songs with sharp dance routines and colourful, trendy costumes. It was like watching a pop group for kids – and the kids loved it … and so did their parents. Watching those bright and energetic performers with their sweet smiles and perky attitudes it was hard not to imagine how much coffee they must be drinking each day and if they could possibly be like this ALL the time when off the screen? In 2005, Australian composer Matthew Lee Robinson happened to be channel surfing one day, when he came across an episode of Hi-5. That short moment watching Charli Delaney in a solo vignette ultimately resulted in the new musical Happy People. Robinson reflects he will never forget that moment as he considered the real lives of these children's television actors away from the cameras. He wondered what they must have to bottle up in order to be on television and appear in public everyday as “that” person. From these initial thoughts, Robinson wrote the song “Boyband.” It has turned out to be the most popular number from the show and confirmed that Robinson's initial feelings and instincts were right. It's a song many audience members are likely to identify with. Robinson says there is an overlap between pop culture and the music of children's groups like Hi-5 (and for the younger children, The Wiggles.) He admits he is in awe of the people who composed the almost addictive and well written Hi-5 songs. After writing the song “Boyband,” Robinson then talked to industry people in children's entertainment to gain a sense of the business behind what we see on tv. He realised he needed an executive producer character. He also decided to include a suit character to explore the struggles of a performer who wants to get out of the suit but still remain in the industry. Once he had completed all his industry chats, Robinson knew he had a story and characters for an audience to care about. He knew the characters needed to be suffering from some kind of arrested development and regretting this the longer they stayed in the group. 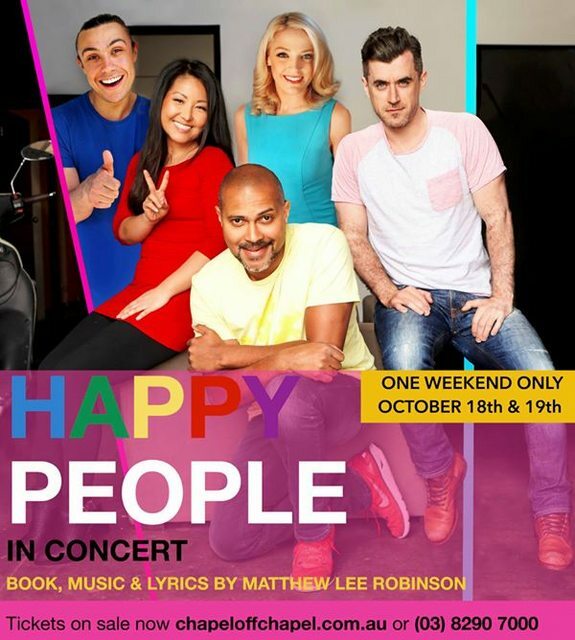 Robinson decided the story needed to be well into their tenure – so set the show in the 10th anniversary year of Happy People. The story, however, is not based on anyone in particular, but rather based on archetypes. It is a fictitious story written by Robinson, but inspired by the gap he perceived between what we see on television and the real lives of children's television performers. 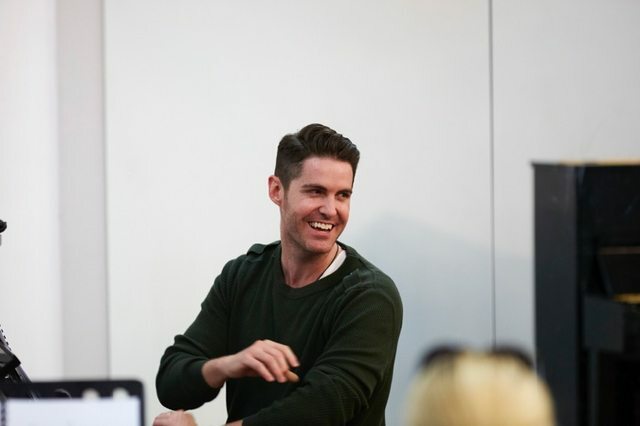 Robinson had all the elements required for the show and says he marched into the offices of the State Theatre Company of South Australia (STCSA) during the rehearsal period of another of his works, Metro Street. He played a few of the songs he had written for Happy People, and on the opening night of Metro Street, it was announced that STCSA were already looking forward to working with Robinson on his next project. In September 2010, the first workshop of Happy People took place. Two of the current performers – Sun Park and Robyn Arthur – were involved in that initial workshop. Robinson began to see his characters come to life. On the advice of Ken McKenzie-Forbes, Artistic Director for The Production Company, Robinson applied for the Churchill Fellowship. 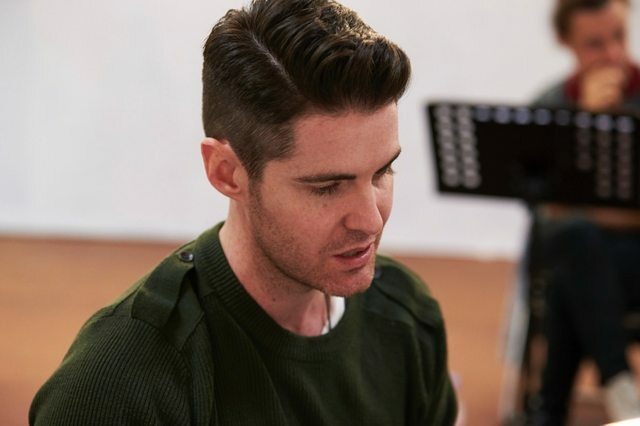 With just three days remaining in which to submit his application, Robinson managed to secure a signed letter of support from Stephen Schwartz and was successful in his application, receiving the Churchill Fellowship in 2011. 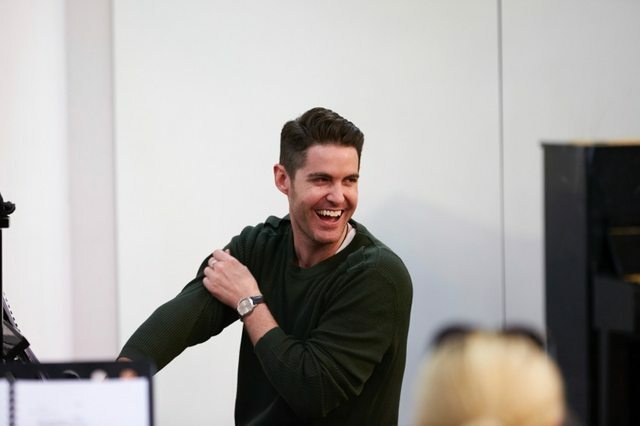 It enabled Robinson to travel to New York and have two readings of Happy People with significant advice and help from industry greats, Greg Schaffert and Stephen Schwartz. Schwartz effectively became the dramaturge for Happy People, advising Robinson which character was the heart of the show, what needed to be moved around, which song didn't belong in this musical, which song needed a chorus and so forth. Schwartz has also become a mentor to Robinson. The next reading of Happy People took place in Melbourne in 2012, being recorded in American accents to enable Robinson to introduce this story further to America. It's quite an incredible journey so far for Robinson, who claims this is all a result of being “ballsy” and “learning manifestation techniques from Lucy Durack.” He says he's not joking! He humbling omits the obvious fact he is also an extraordinarily talented composer. Robinson will soon head back to New York for further meetings and discussions. 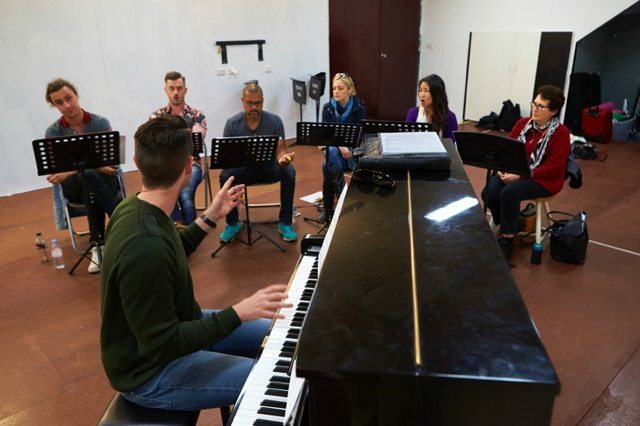 There's already considerable interest in not only Happy People, but also in his other musical Atlantis, which received critical acclaim during its concert presentation in Melbourne earlier this year. It's highly likely we'll be hearing about the successes of Matthew Lee Robinson in the future … now is the opportunity to see Happy People before the rest of the world. If you've ever watched children's television groups, take a moment to imagine what might be going on away from the camera … and come and experience Happy People.